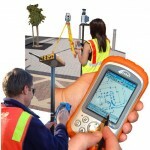 ← Why Do You Need a Land Survey? This site is intended to provide you with information on Land Surveying in the Montgomery, AL, and Montgomery County area of Alabama. If you’re looking for a Montgomery Land Surveyor, you’ve come to the right site. If you’d rather talk to someone about your land surveying needs, please call (334) 625-9540 today. For more information, please continue to read. If your needs don’t fall into one of the above, don’t worry, we’ll get to the bottom of it. CALL one of our land surveyors TODAY at (334) 625-9540 OR better yet, fill out a Contact Form request to discuss your survey needs.